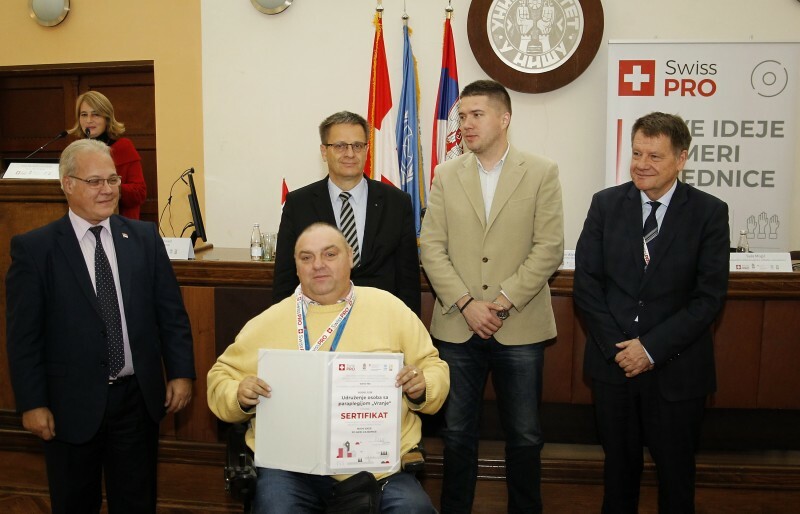 Certificates of financial support of the Government of Switzerland of EUR 350,000, through the Swiss PRO Programme, for the implementation of social innovative projects and provision of technical support to local self-governments were officially presented to the representatives of the civil and public sector in Niš today. 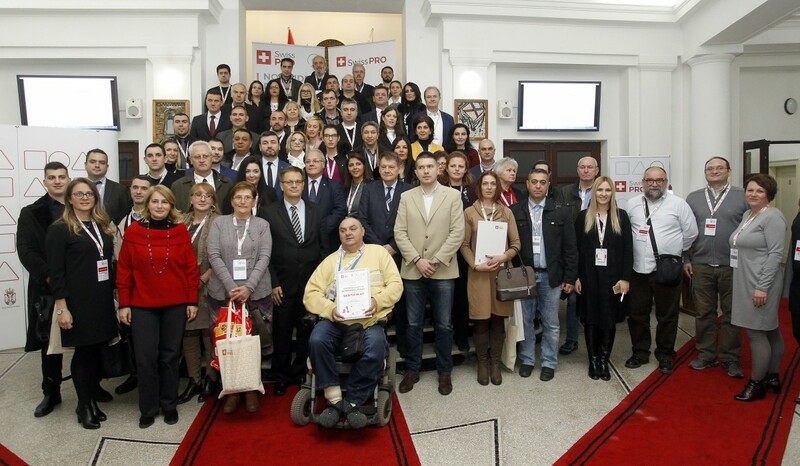 Within two public Calls for Proposals under the slogan “New Ideas Fit for Community”, the support was granted to 26 Civil Society Organisations, whereas technical support to local self-governments for the implementation of projects in partnership with the civil sector was granted to 16 towns and municipalities in Serbia. “The Government of Switzerland has been supporting Serbia for years, and activities within these projects will contribute to comprehensive reforms in the process of European integration. 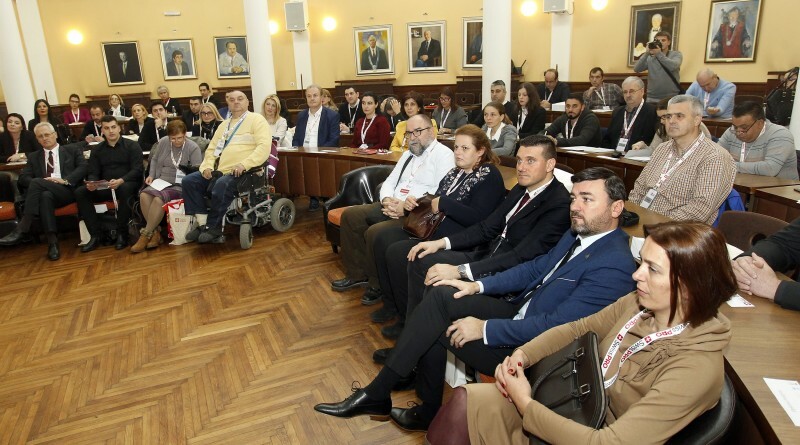 The civil sector will play a key role in this process of vulnerable groups’ empowerment,” said Svetozar Aleksov, State Secretary of the Ministry of Labour, Employment, Veteran and Social Affairs. Support amounting from EUR 10,000 to EUR 14,000 was granted to Civil Society Organisations for the implementation of 11 projects that will deal with empowerment of vulnerable groups through trainings, while others will deal with improvement of accessibility of public services to vulnerable groups: eight projects focus on access to social welfare, four deal with improved access to health services and three are focused on education. “We are pleased to see the beginning of the projects that will enhance social inclusion, health services and education for vulnerable groups, as it is very important for local self-governments and communities,” said Saša Mogić, Assistant to the Minister for Public Administration and Local Self-Government. “The Swiss Government recognises that both Civil Society Organisation and local self-governments want to be part of the improvement process of good governance, social inclusion and gender equality promotion,” said Dejan Vuletić, Advisor for Monitoring and Improving Legal Framework for Civil Society Development at the Office for Cooperation with Civil Society that, in his words, connects these two sectors. These projects were preceded by a process of public Calls for Proposals that lasted from June to August 2018, during which 85 organisations and 16 local self-governments submitted their applications. “Support to social inclusion on the local level is one of three pillars of Swiss PRO Programme, apart from good governance and gender equality. I expect good results of these projects to directly improve lives of 2,600 people through trainings, education and social protection services,” said Graeme Tyndall, Swiss PRO Programme Manager. “Technical support for 16 local self-governments will include development and improvement of processes, procedures and regulations about defining of public interest and funding of local projects implemented by CSOs. 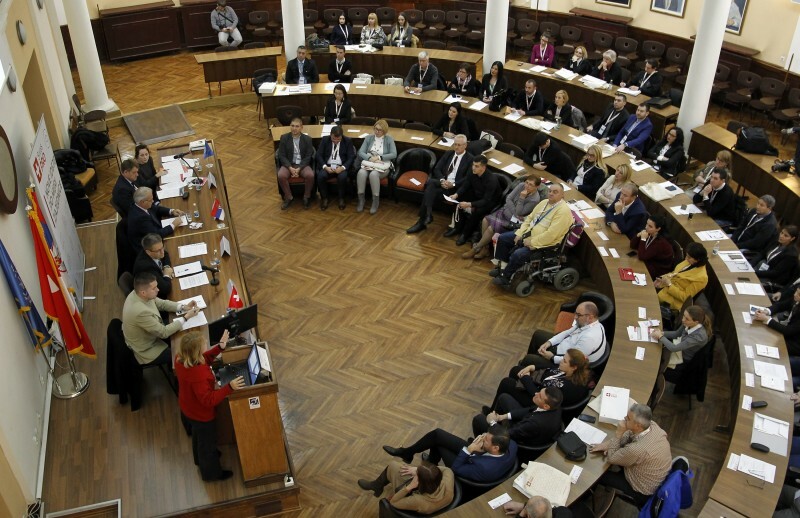 In the following phase of support, a part of towns and municipalities will implement projects together with the civil sector,” said Ana Nedeljković Belja, Swiss PRO National Programme Manager.